New Delhi: Congress president Rahul Gandhi on Monday declared what he described as his party’s “groundbreaking” anti-poverty measure with no parallels anywhere in the world. 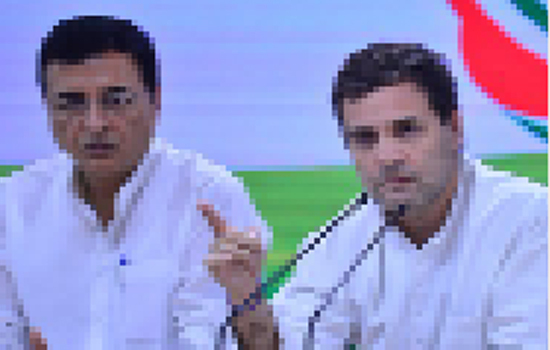 Addressing a press conference here after a meeting of the Congress Working Committee, Gandhi steered clear of the opposition’s alliance woes and said he will not take any questions on any other issue save the Congress’s Minimum Income Guarantee Scheme. “I am not going to say anything today, except that we are promising a groundbreaking idea, which will be the second phase of assault on poverty after the first phase of assault through MNREGA,” Gandhi said in response to a Tribune query on what happened to the Congress led opposition’s idea of a joint seat by seat fight with the BJP.On the scheme, Gandhi said the Congress would give direct cash transfer of Rs 72,000 in the bank accounts of 20 per cent of India’s poorest people. “The basic income line we will consider is Rs 12,000, which means we will top up the incomes lower than Rs 12,000 until people reach the basic income of Rs 12,000. So if anyone is earning Rs 6,000 a month, we will top up another Rs 6,000,” said Gandhi. He said the scheme will benefit five crore families and 25 crore people directly. “I don’t want two Indias one for the rich and the other for the poor,” Gandhi said. The Congress manifesto will contain the promise of the scheme, which the party hopes to work as a game changer in the upcoming elections. Gandhi said fiscal consequences of the scheme had been analysed and it was “perfectly doable”. He said if the BJP could give money to the rich, the Congress could give money to the poor. "If it is tested on simple arithmetic, Rs 72,000 for five crore families works out to be Rs 3.6 lakh crore, which is less than 2/3rd of what we are giving. A bluff announcement" Arun Jaitley, Finance Minister.